It's not every week that we get a new installment of Kate Beaton's Hark! A Vagrant, but every time we do, it's a real treat. 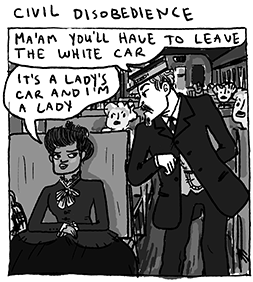 Today, Beaton gifts us with a series of comics about journalist, suffragette, and early civil rights leader Ida B. Wells, who should be everyone's hero.